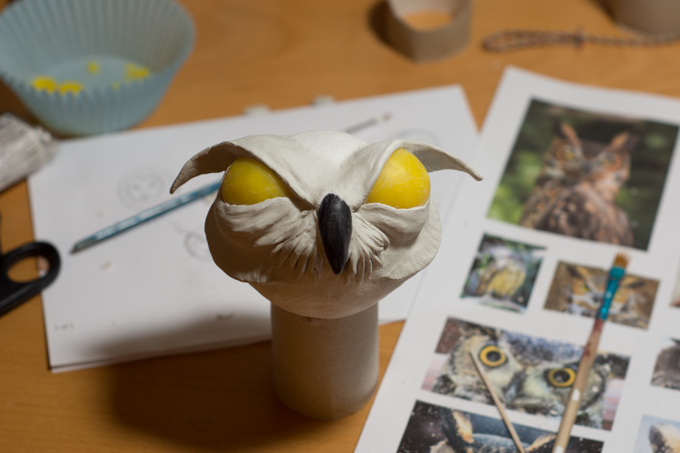 I got an order for making an owl and a wolf, and started out with the owl. 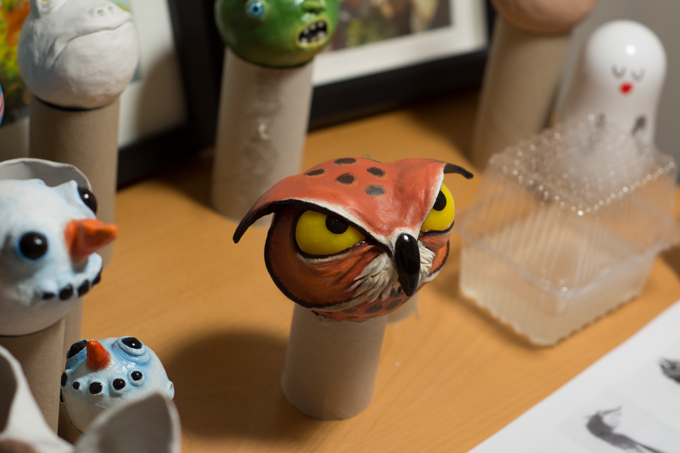 I modelled it based on owl pictures that, for some reason or the other, caught my attention. 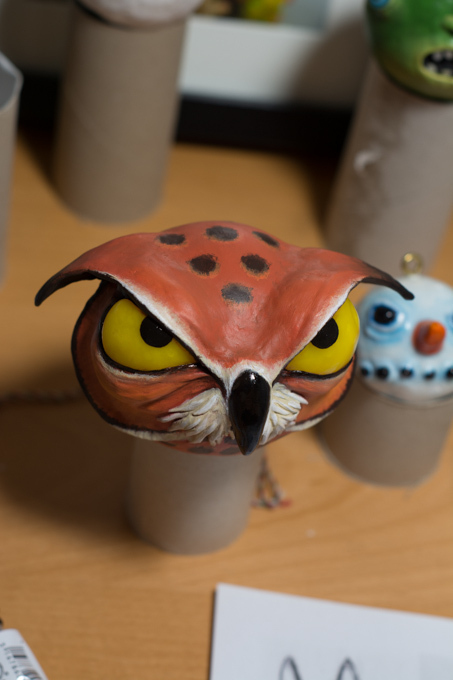 It did not turn out as the happiest owl in the world, but it does match the angry snowman in the background. 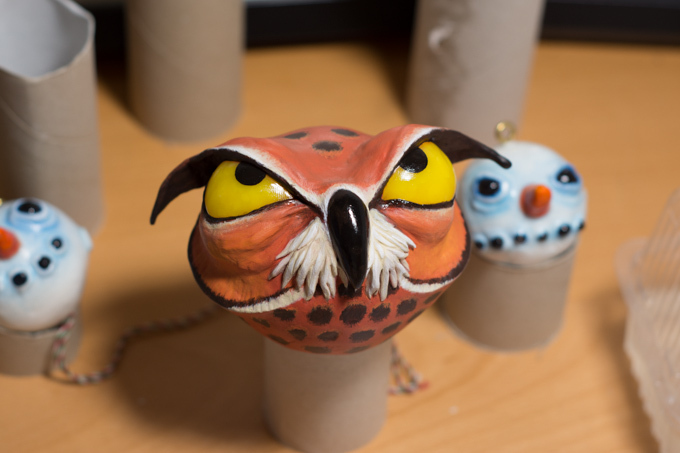 I have not attached screw eye to the owl yet, and I will ask the buyer if she want me add shiny varnish, but otherwise I consider it done.